The violent crash that destroyed two vehicles at the corner of Fifth & Greenup Streets in Covington on Tuesday afternoon started as an attempted bust of suspected heroin dealers, The River City News has learned. The crash happened shortly after 3 p.m. but started as an attempted drug bust in the Kroger parking lot on the 1500 block of Madison Avenue. The Northern Kentucky Drug Strike Force, an agency made up of multiple Northern Kentucky law enforcement agencies, was conducting the bust. A call to the Strike Force's office has not been returned. Two suspects in a Ford Focus fled the parking lot and were pursued by officers, though RCN has been unable to confirm the nature of the pursuit and whether it there were high speeds invovled. Eventually the Focus collided with a minivan in Downtown Covington's Licking Riverside neighborhood sending multiple occupants from both vehicles to the hospital. Marcus Allen Baker, 30, was a passenger in the Focus and is now in the Kenton County Jail facing charges of trafficking in more than two grams of heroin and attempted murder. Jim Redwine of the Kenton County Commonwealth's Attorney Office said the attempted murder charge arose from an action that took place against a law enforcement officer during the initial contact but could not offer further details. The driver of the Focus, Andrea Borgemenke, is also facing charges of trafficking heroin and attempted murder as well as second degree assault and fleeing/evading police resulting from the pursuit and subsequent crash. Kenton County Jail records do not indicate that she has been booked yet. Witnesses at the crash say she was transported from the scene by ambulance. 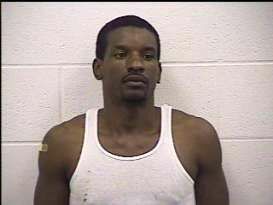 Covington Police had no further details to release related to this case.